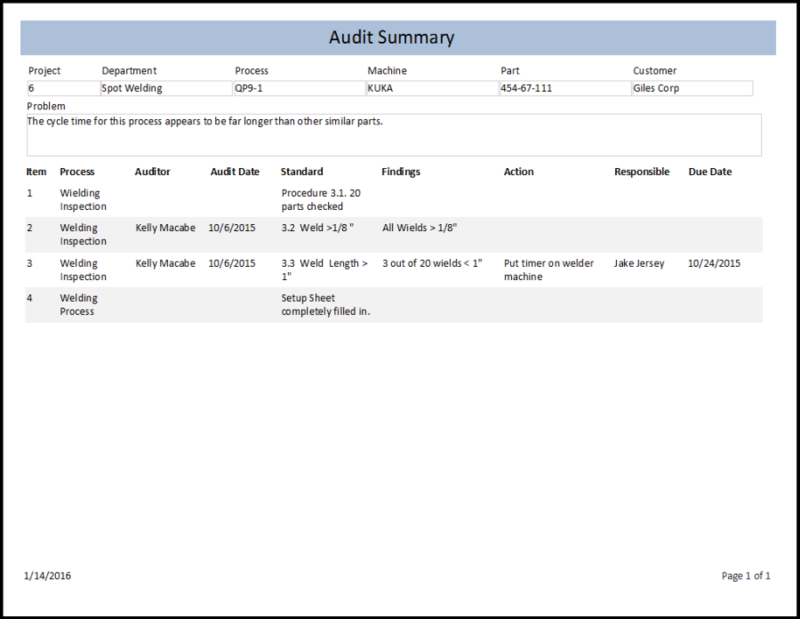 Conduct audits, create audit checklists, track results and assign actions from those audits. 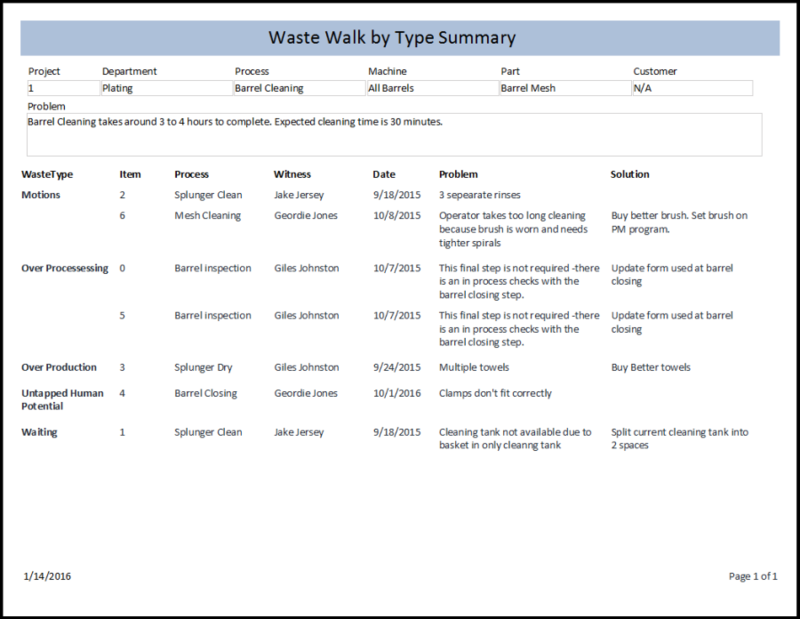 Conduct Waste Walk activities using the 8Ws approach and assign action items. 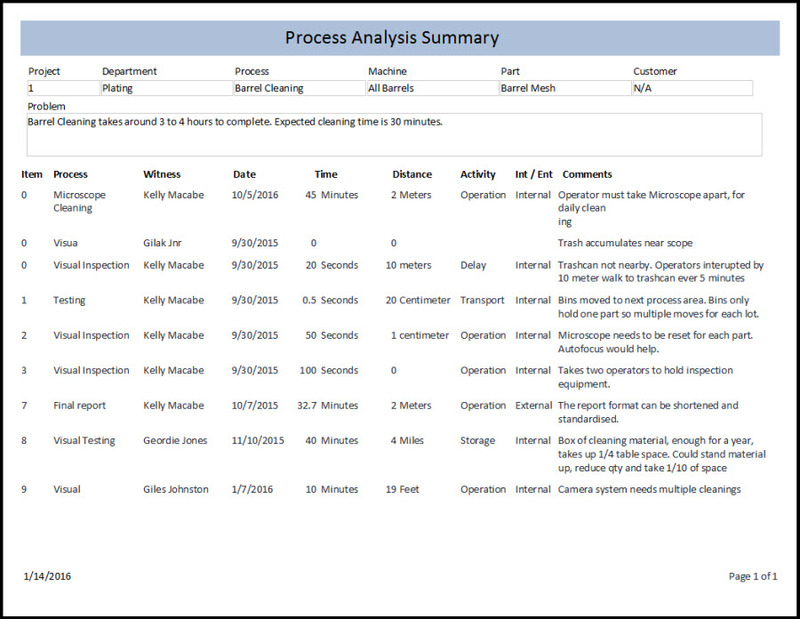 Analysis the process with Cause / Concern / Counter (CCC) approach and assign actions. Track and link all documents for the project. For a given project, monitor all actions in one list. 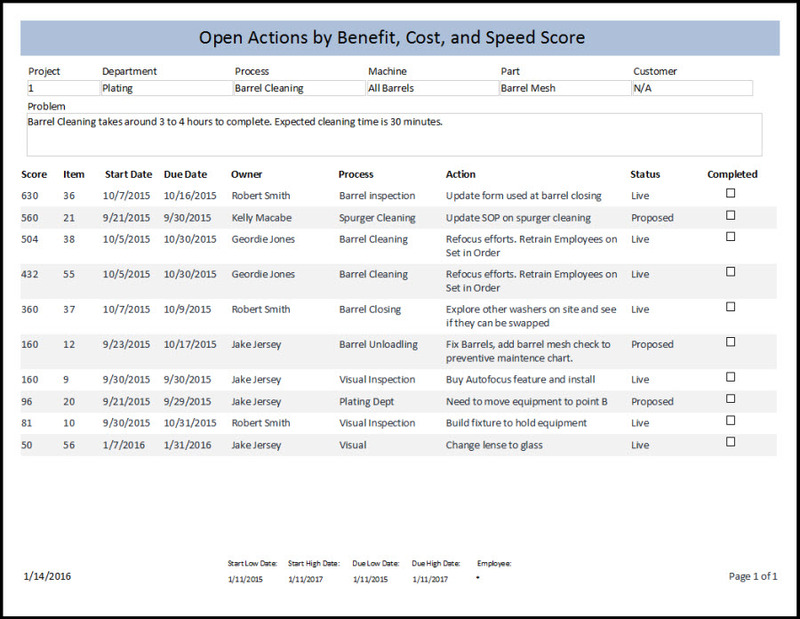 Rate the actions based benefits, cost, and speed (BCS) score, which lets you prioritize the actions. 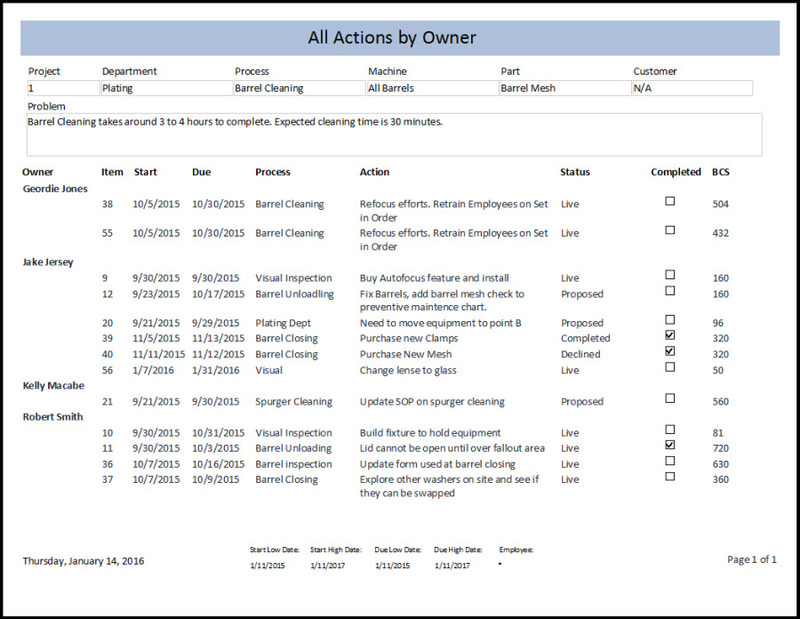 Quickly sort the actions by process, employee, due date, item, status, and BCS scores. 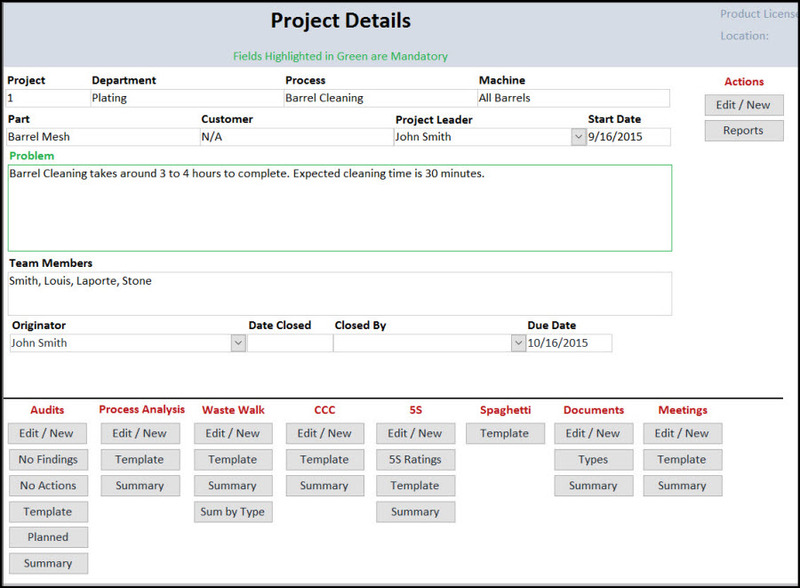 This software can revolutionize the way that you identify and manage improvements. No longer do you need to have numerous improvement plans on your walls. No longer do you have to try to guess the right improvement to focus on. Follow the StreamLiner system and you can save time and effort as you improve your team's clarity and accelerate your business' improvement wins. 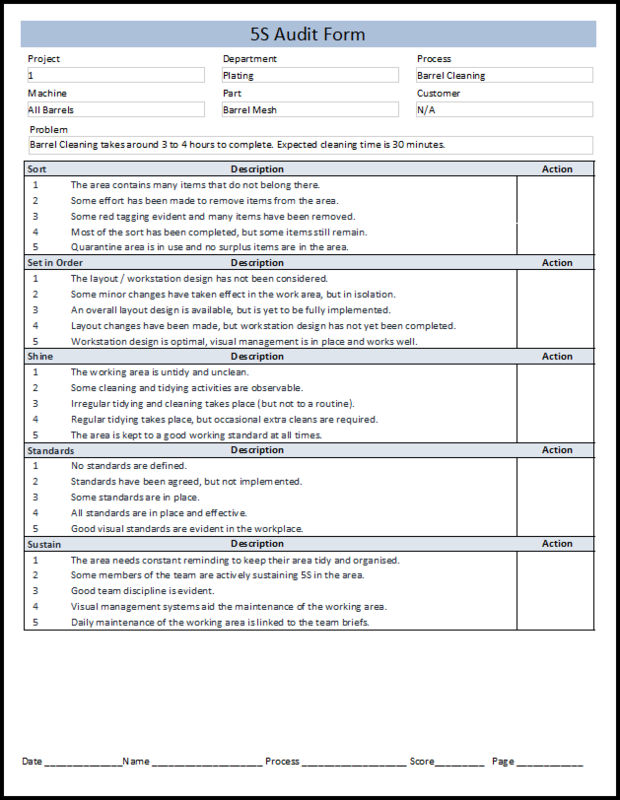 Furthermore, if you operate a more general continuous improvement suggestion scheme, you can use StreamLiner to help manage your staff's expectations, as well as clearly communicate the improvement idea 'leaderboard'. Streamliner is a flexible and robust tool that lets you take the effort and organization out of making change happen in your business. 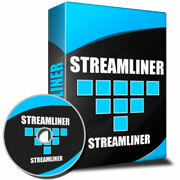 Please pick the correct version of StreamLiner that meets your needs. After payment, you will immediately receive an email with a link to download the software. If you do not have Microsoft Access then please click the below buy now button. 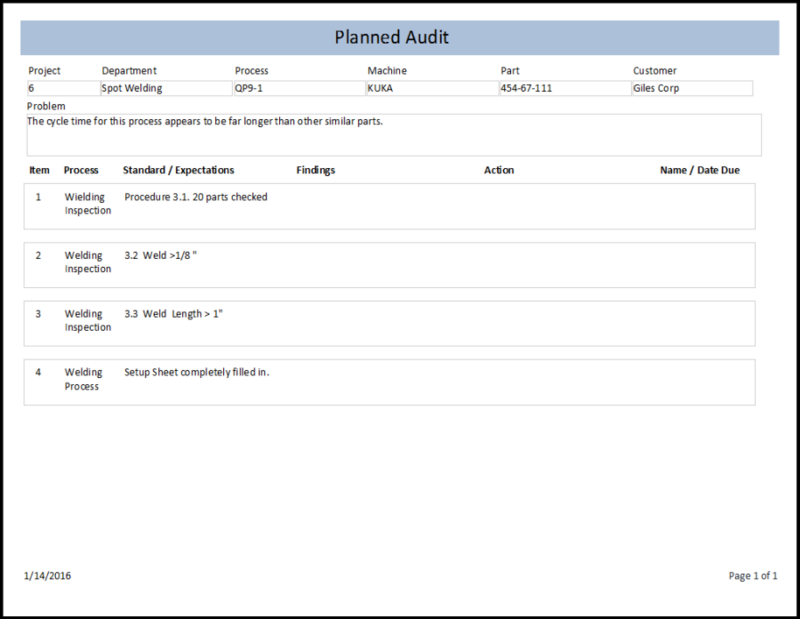 StreamLiner focuses on lean, 5S, auditing and other important improvement tools. 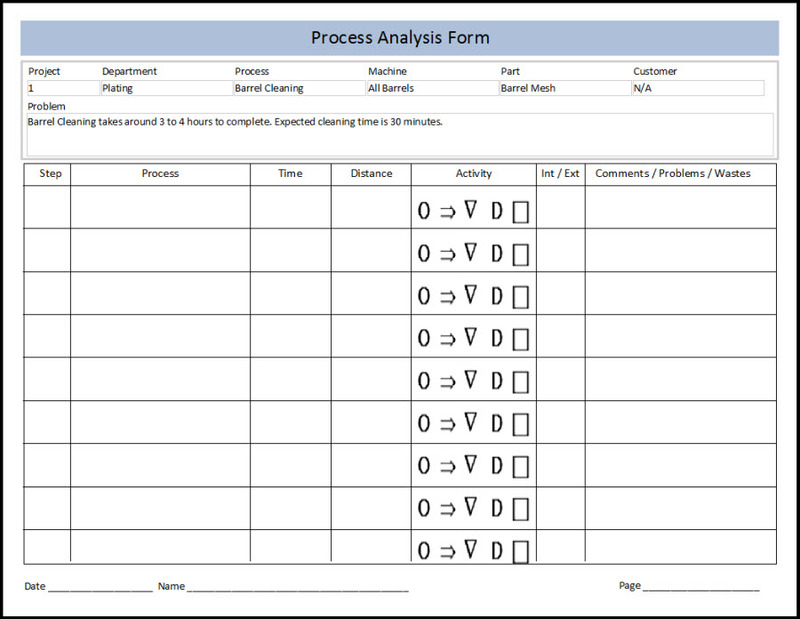 Streamliner provides many printed templates for you to use during your project analysis process. StreamLiner helps you pull together all of your ongoing improvement activities, and lets you comfortably manage all of the improvement actions that arise. As we all know, it is only after we implement a change that we receive the benefits. StreamLiner takes out the complexity of doing this. It helps you see what you need to do first and ultimately shortens the time it takes for your business to achieve the process improvement results it wants. Bonus A detailed guide for streamlining processes and a PowerPoint presentation for teaching the concepts. Quickly Drill down to a specific or set of records. Quickly find the source of any improvement activity. Easily grow your user base. The software is network compatible. You can place the main file on your network and other users who have a license can work with the same data at the same time as other users. We offer discount pricing for additional users at your location. Within 30 days, if you are not satisfied with StreamLiner, I will refund your money.